Whether you’ve opened a new location, won an award, are celebrating a milestone, or would just like to throw a party… We can help you promote your business! Celebration kits are available for purchase through the Chamber to maximize the publicity of your event. Please contact us before setting your event date. Chique Bridal Collection & Formalwear is having a Grand Opening! Join us for the Grand Opening of Sparrow Consulting! Celebrate 35 years of Parties in the Park! 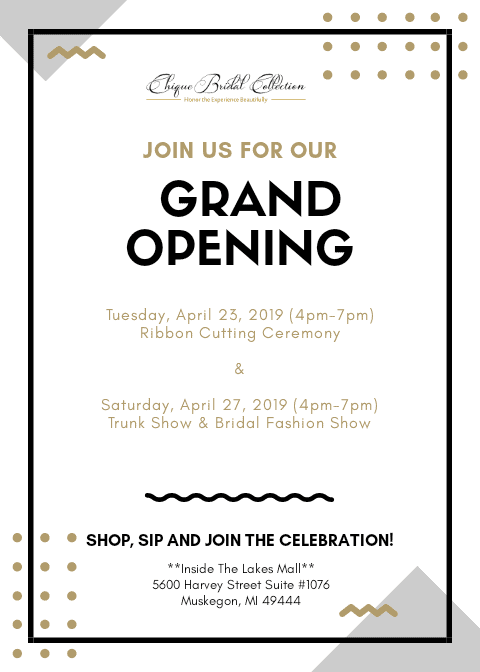 Join us at Lake Sch-Nepp-A-Ho’s Grand Re-Opening Celebration! X-Cell Integrative Health is having a Grand Opening!